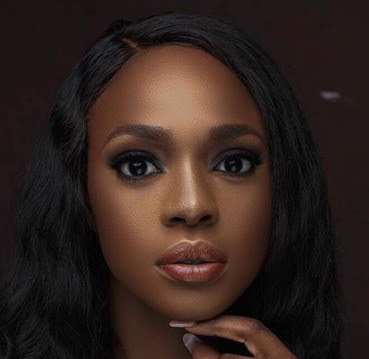 It seems Nollywood actress and model Beverly Osu is about to break a home. 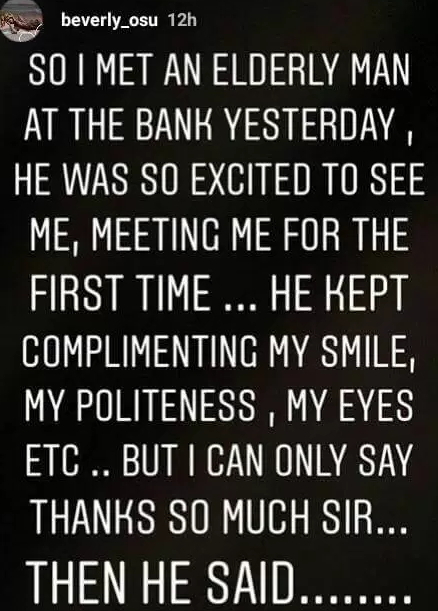 The entertainer with a body most men lust after recently shared on Instagram how a married elderly man she met in a bank confessed to her that he frequently fights his wife because of his love for Beverly. 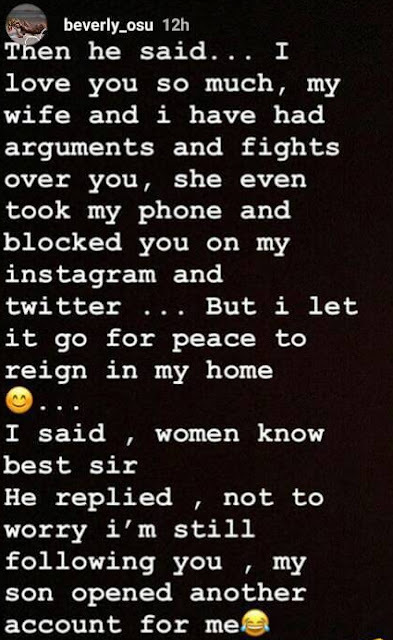 The wife of the man in question blocked Beverly on her husband’s Twitter and Facebook but his son opened another secret social media account from where he continued his follower-ship. then what’s the purpose of posting this on social media? ?